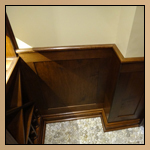 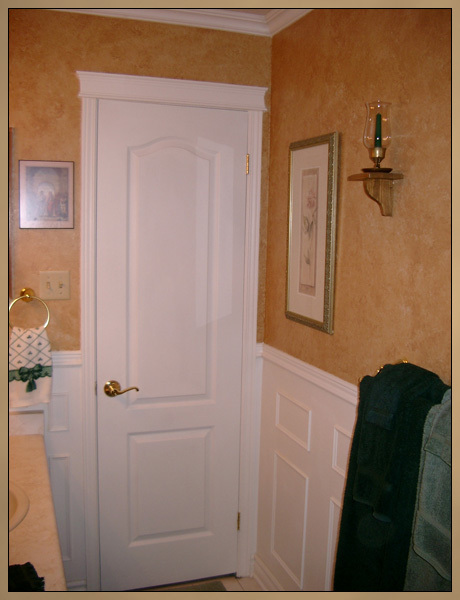 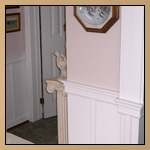 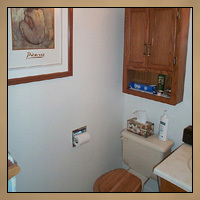 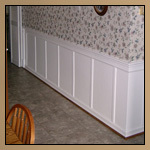 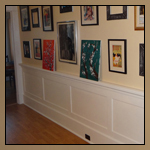 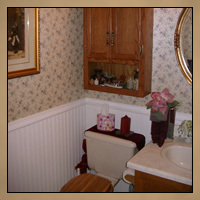 Decorative Wainscoting Designs - Wall Moulding Panels This decorative wainscoting design is created with finger trim applied directly onto the drywall and arranged in a rectangular pattern. 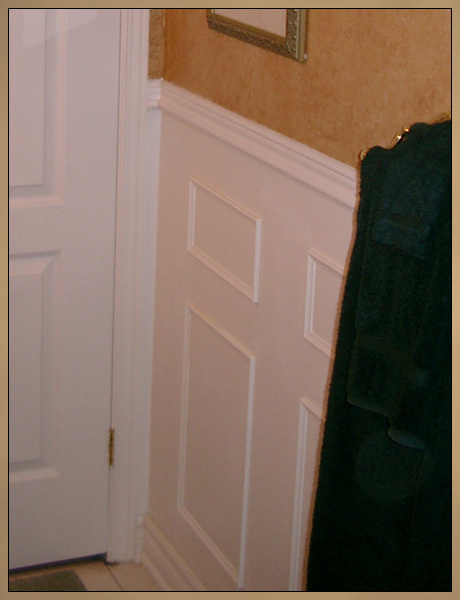 Chair rail is added along with some extra trim to cap the ends and everything is painted white to complete the illusion of decorative wall paneling. 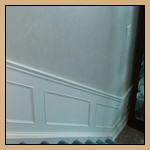 Wainscoting can look very dramatic when combined with a wall treatment such as this faux finish painting and crown moulding along the ceiling.